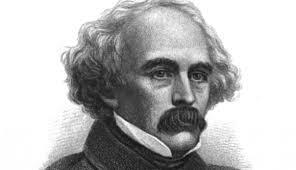 Nathaniel Hawthorne (1804-1864) is justly famous as one of America’s premier novelists and short story writers. Over a writing career stretching from 1829 until his death, Hawthorne consistently probed the moral and spiritual con icts which he observed in his own life and, mainly, in the lives of the Puritan and Transcendentalist New Englanders with whom he spent most of his life. Both Puritanism and Transcendentalism, of course, deal with the material world and the human body in ways which tend to make them either con ict with or irrelevant to the human spirit. Therefore, Hawthorne was never far in his works from a struggle with the fundamental identity of man as a unity of body and soul. As Michael Jones points out below The Blithedale Romance is a novel uniquely situated in Hawthorne’s life and experience to lend itself to an illuminating examination of the con ict within the author about human na- ture. This examination in turn sheds light on a whole chapter of American history as well as some of the recurring spiritual tensions of our own time.